Amyloid beta (Abeta) peptide. 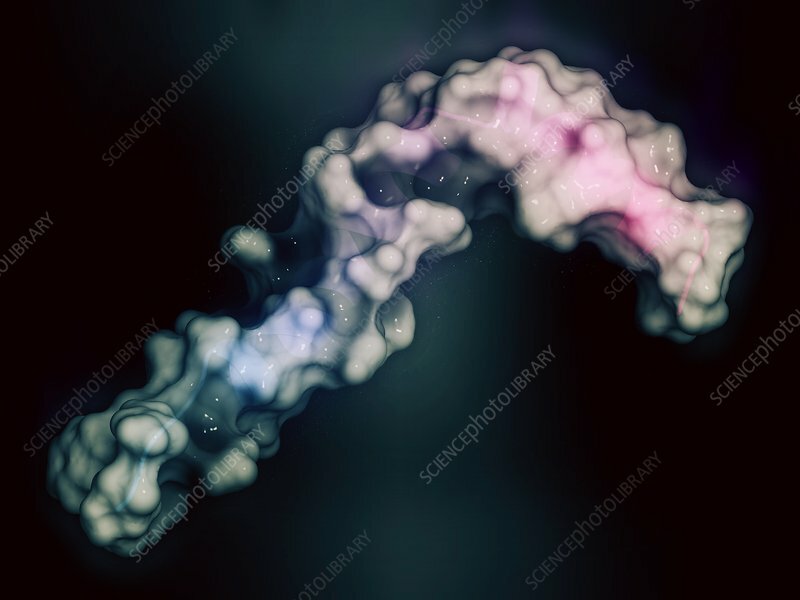 Major component of plaques found in Alzheimer's disease. Stylized combination of a semi-transparent surface model with a cartoon representation. Cartoon: gradient colouring (N-terminus blue, C-terminus pink).